Cowrie shells have been held precious by many cultures since prehistory- representing the sacred feminine and used for divination, spiritual practice and as currency. They appear as adornments in costuming from Afghanistan to the Yukon territories. 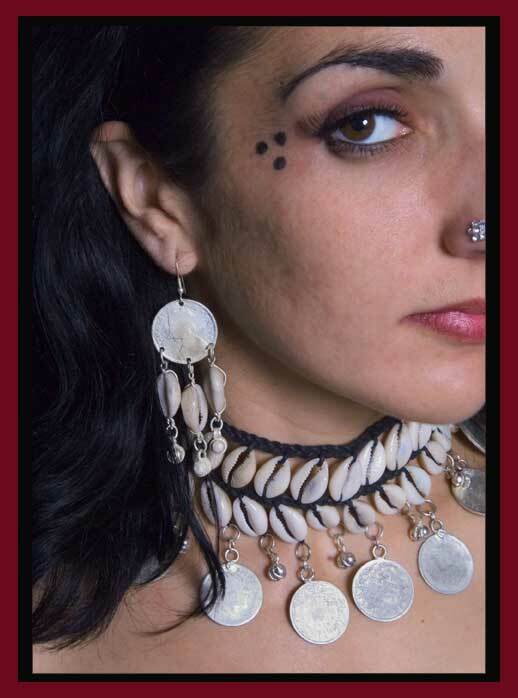 This offering combines cowrie shells with strong waxed black cord, Wonderful as a choker, also useful for finishing a head wrap, and providing DIY material for Coin bras, Belts and more! Raj era antique coins, adjustable ties with dangling shells and bells to finish.